BenchPrep takes 85% Off for any GMAT, GRE, TOEFL, CFA, PMP, LSAT, MCAT, SAT, PMP, Bar Exam, PCAT, NPTE and more Test Preparation Courses for computer, iPhone, iPad, and Android via code DEALPREP. You may use it on computers, iPhone, iPad, and android. BenchPrep takes 85% Off for any GMAT, GRE, TOEFL, CFA, PMP, LSAT, MCAT, SAT, PMP, Bar Exam, PCAT, NPTE and more Test Preparation Courses for computer, iPhone, iPad, and Android via code TECH85. BenchPrep takes 85% Off for any GMAT, GRE, TOEFL, CFA, PMP, LSAT, MCAT, SAT, PMP, Bar Exam, PCAT, NPTE and more Test Preparation Courses for computer, iPhone, iPad, and Android (up to $150 of value). Last Day! $30 for any GRE, GMAT, CFA, LSAT, MCAT, SAT, ACT, PMP, Bar, PCAT, NPTE & more test prep course for computer, iPhone, iPad, and Android (up to $150 of value). Lowest Price Ever! BenchPrep cuts 85% off GRE, GMAT, CFA, LSAT, MCAT, SAT, PMP, Bar Exam, PCAT, NPTE (and more!) online and mobile learning courses via coupon code "MOONPREP85". Price as low as $15 after the discount. Today only (Feb 2). BenchPrep cuts 75% off Online Test Prep Courses - GMAT, GRE, CFA Level 1, LSAT and more via coupon code "DEALMOON75". Price as low as $25 after the discount. 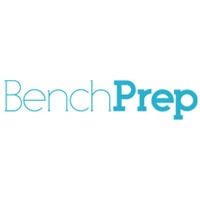 BenchPrep cuts 70% off prep tests (including ACT, SAT, LSAT, and more) via coupon code "BOO70".